Jump-start your next AR project. If you don't know Anderson Manufacturing, now is the time to get acquainted. Why? Because they make high-quality Lowers at fantastic prices! Unlike other companies, Anderson makes most of their components in-house at their Hebron, Kentucky facility, meaning they control quality like no other. 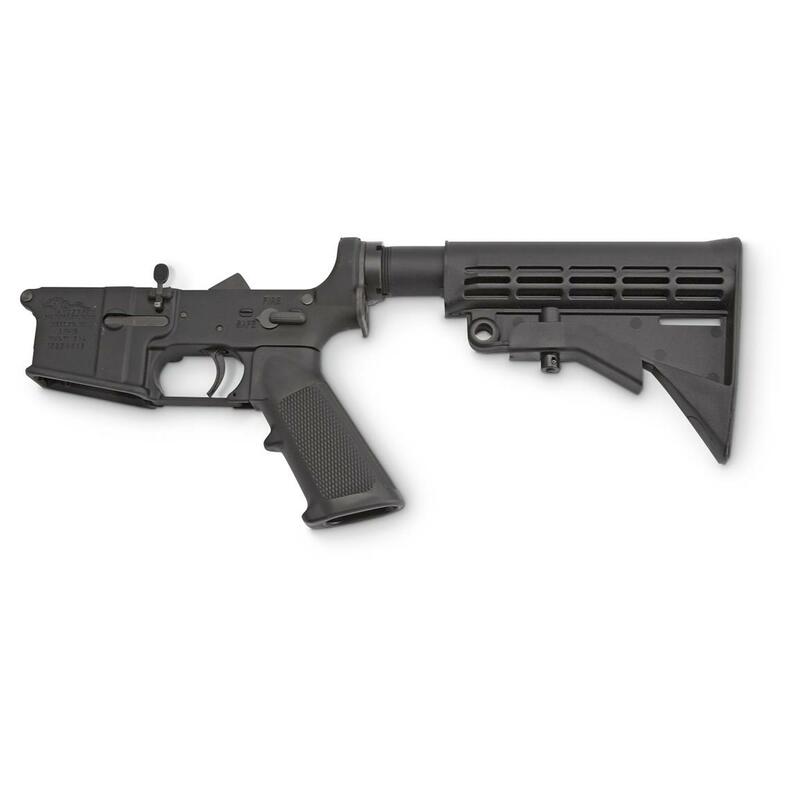 Anderson AR-15 Complete Assembled Lower is rated 4.7 out of 5 by 62. Rated 4 out of 5 by Allen from Good price, good product. trigger a bit stiff, but it will wear in. Rated 5 out of 5 by telmanmn from Perfect fit. Had bought Anderson upper in 300 blk earliler and had it paired with lower from APF econo 223 wylde but when this came up on sale with BCG/|CH could not keep from ordering. As local to SG used as FFL and no issues. Matches up great. Rated 5 out of 5 by AM 15 from Excellent Lower Solid Lower. Excellent machining. Only concern is the trigger pull. Feels like a grating or catching while using a consistent-slow pull. 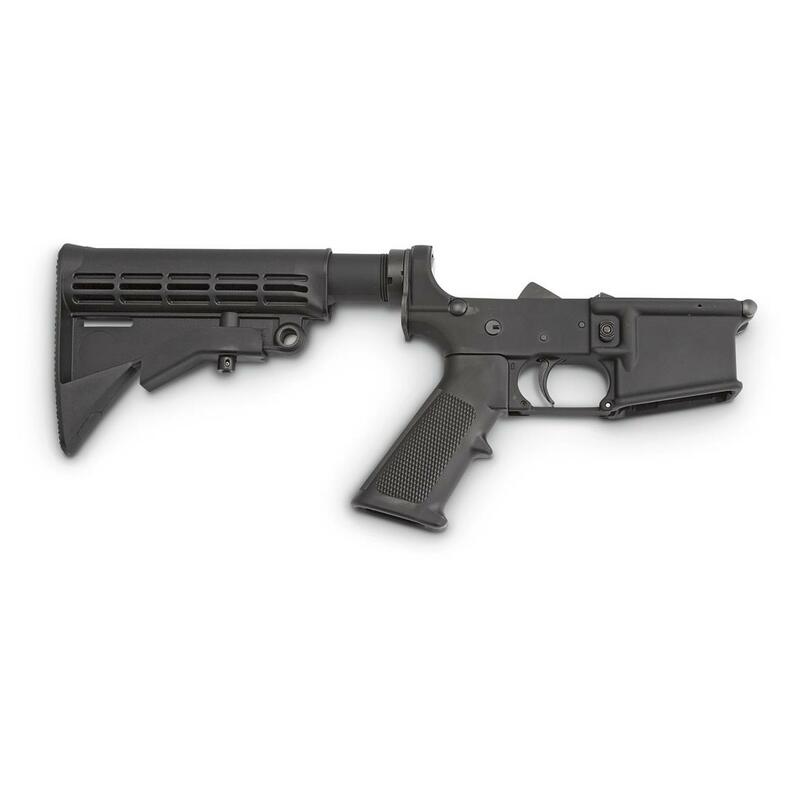 It should smooth itself out and give a nice consistent trigger release after a few hundred rounds. Rated 5 out of 5 by Jh3isme from Great buy! Well manufactured and built! Works as advertised. Quality lower great price. Rated 5 out of 5 by DONN from GREAT PRICE; FAST DELIVERY FFL RECEIVED MY SHIPMENT FAST AND PARTS WERE IN EXCELLENT CONDITION. EXCELLENT FIT TO MY UPPERS. hAVE NOT SHOT THEM YET.